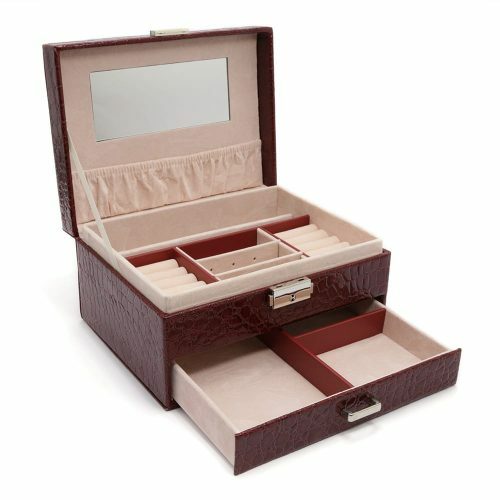 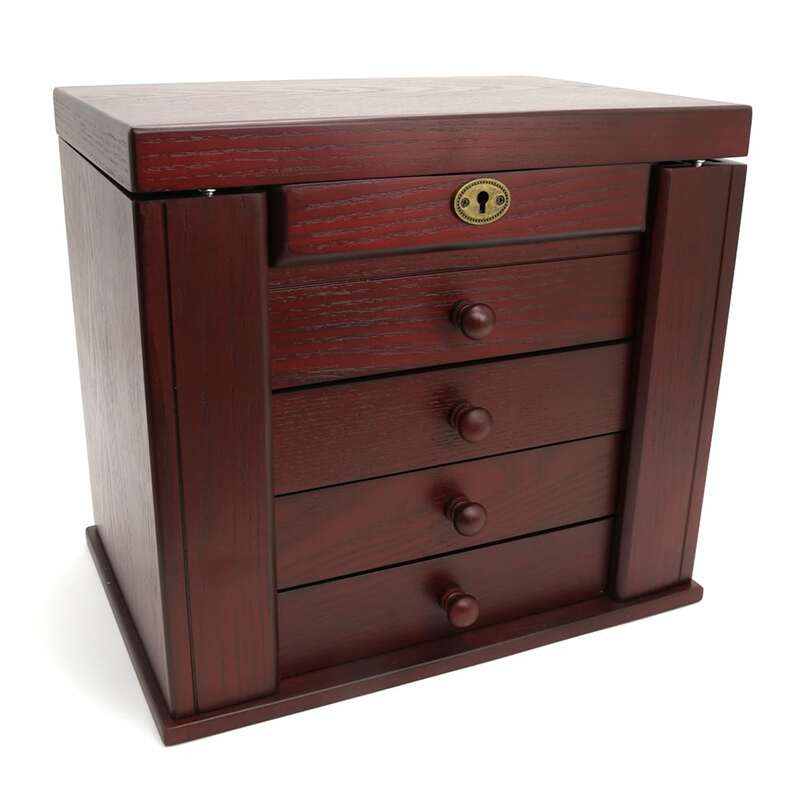 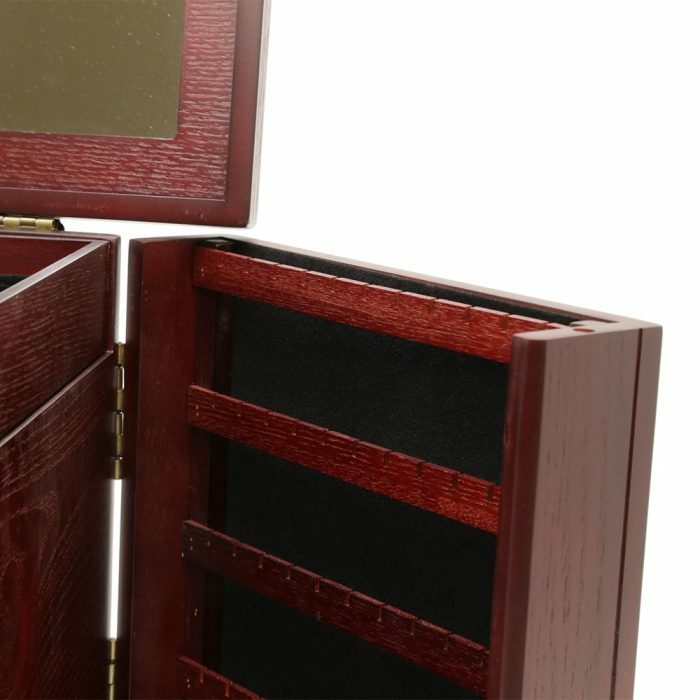 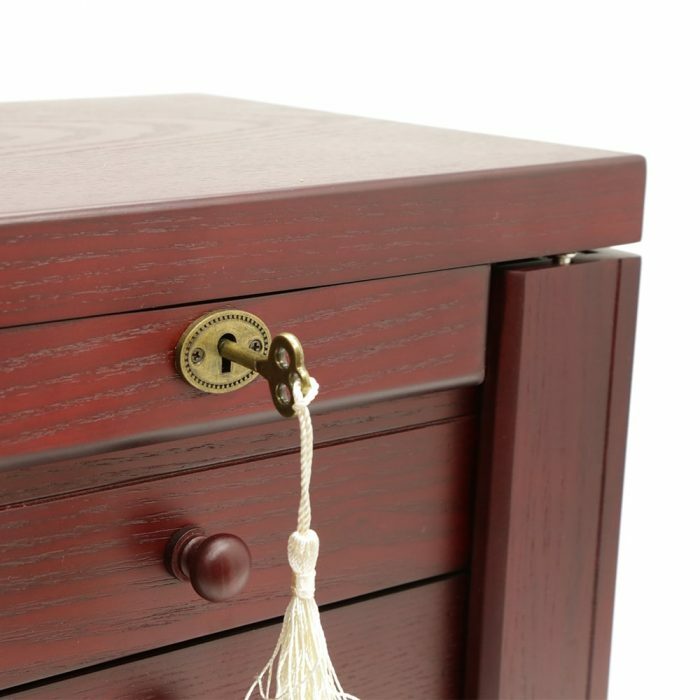 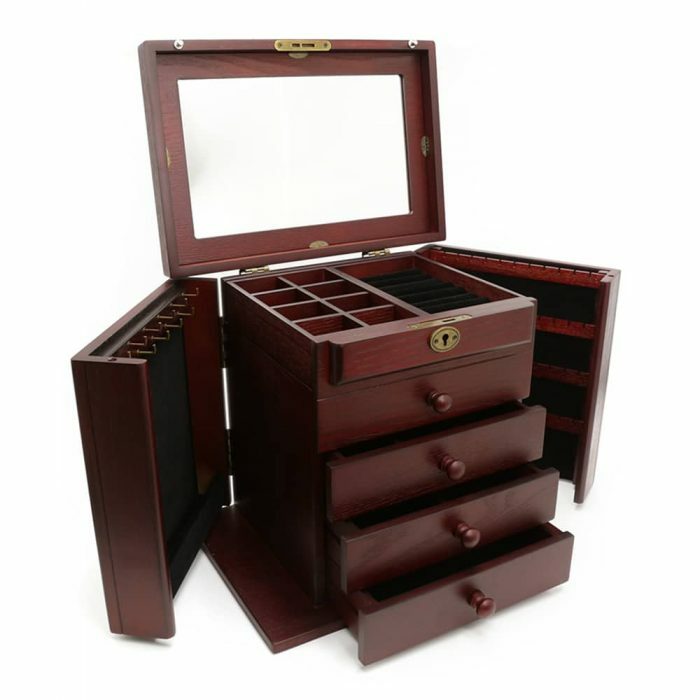 This Mahogany 5 Level Jewellery Box is a stunning way to store your valuables. 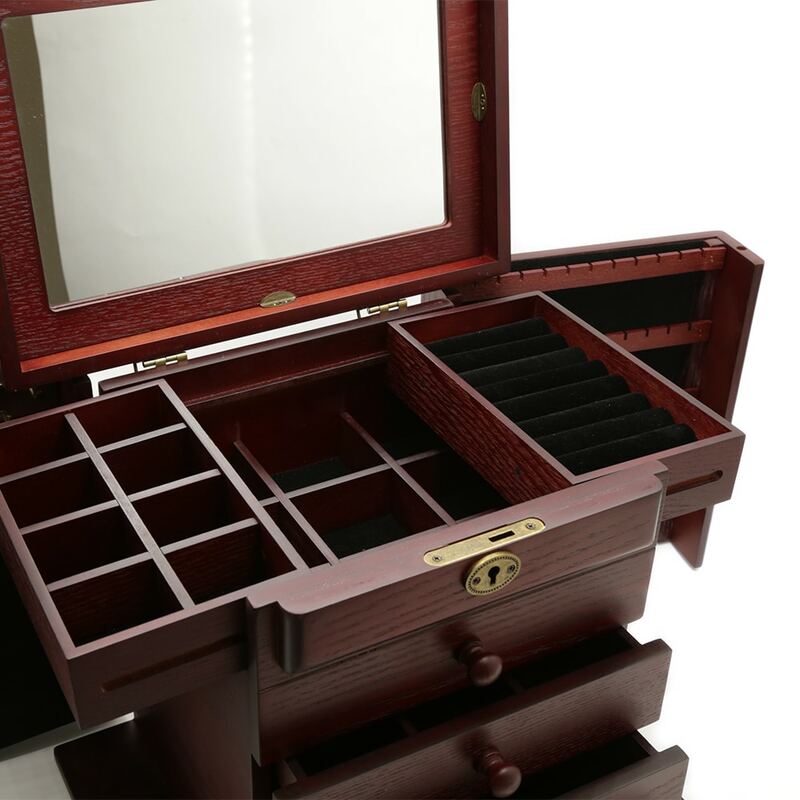 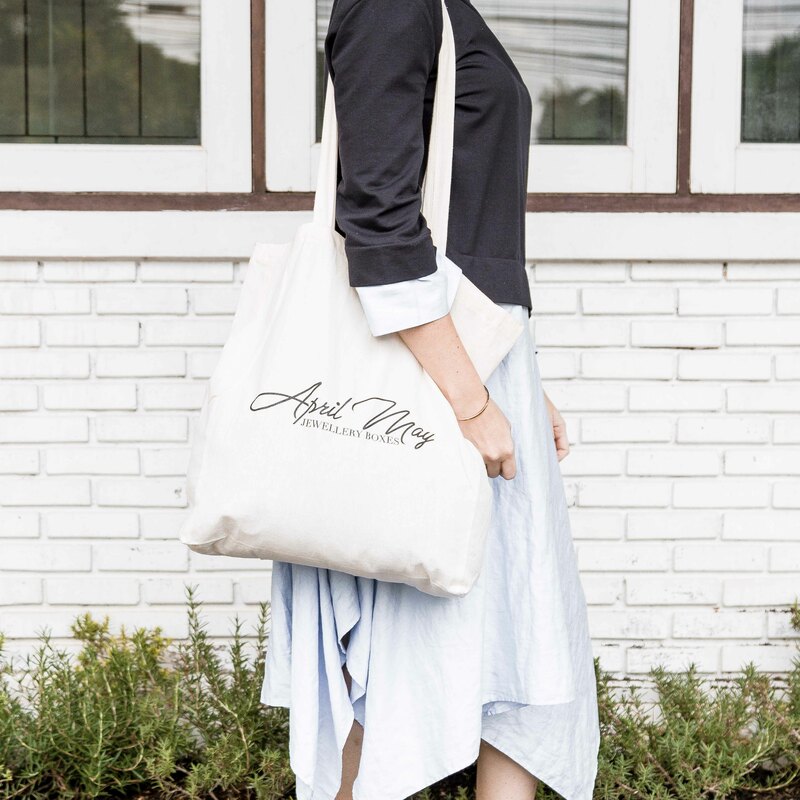 It is made with the highest quality wood and materials. The exterior of this box comes in a beautiful mahogany with brass features. 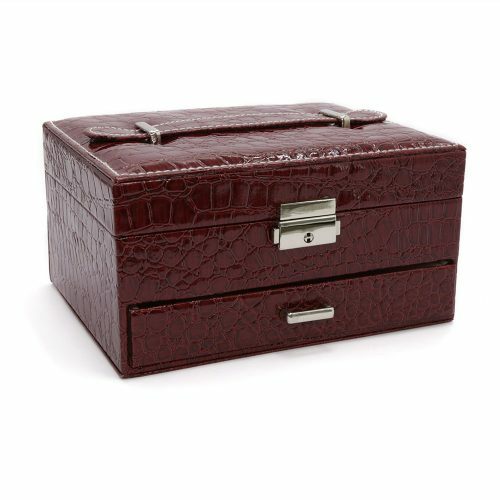 This box also comes with a lock and key to ensure your valuables that are stored are safe and secure. 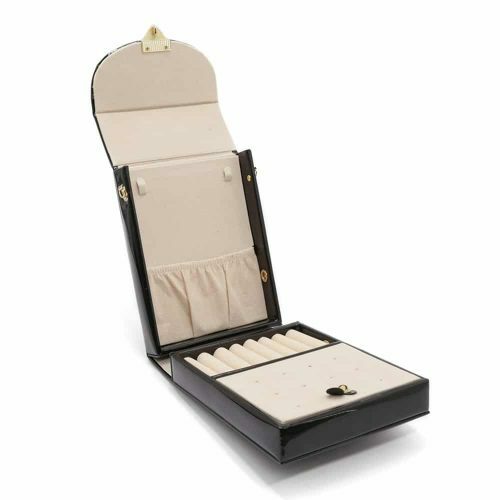 When opened, this box has a classy black velvet interior. 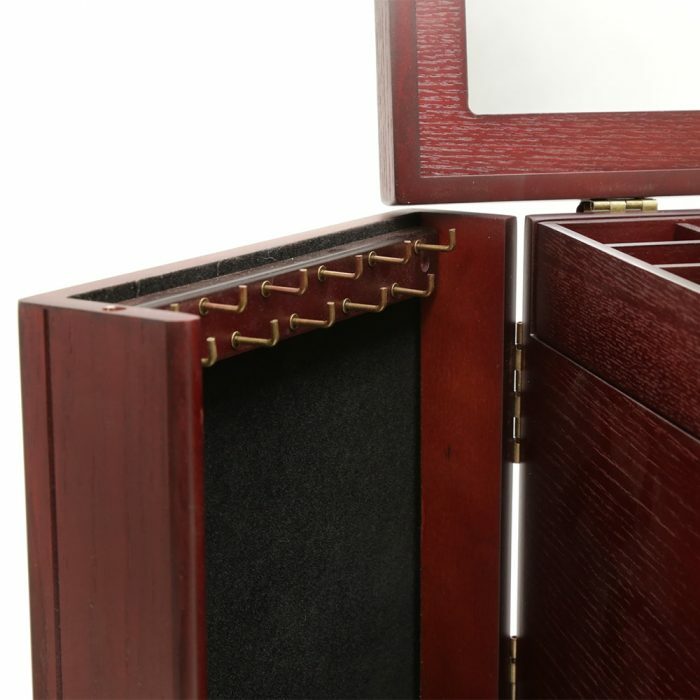 The lid features a large mirror. 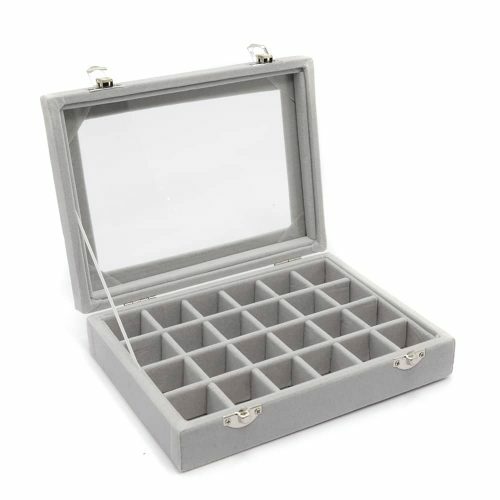 The sides also open up with oneside containing 12 brass hooks perfect for holding your necklaces securely and tangle free, and the other has multiple levels with holes for your earrings. 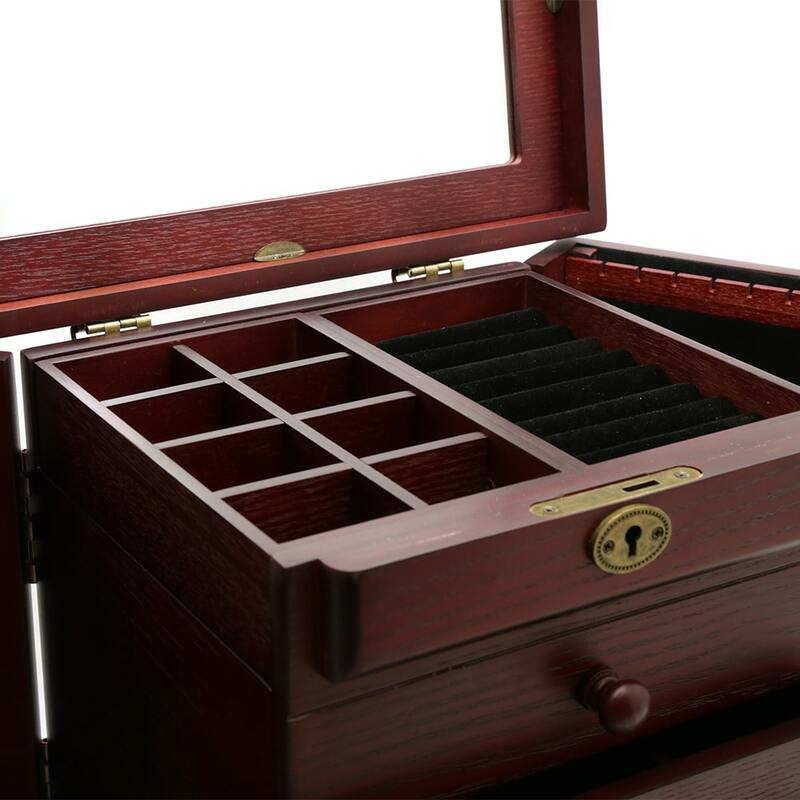 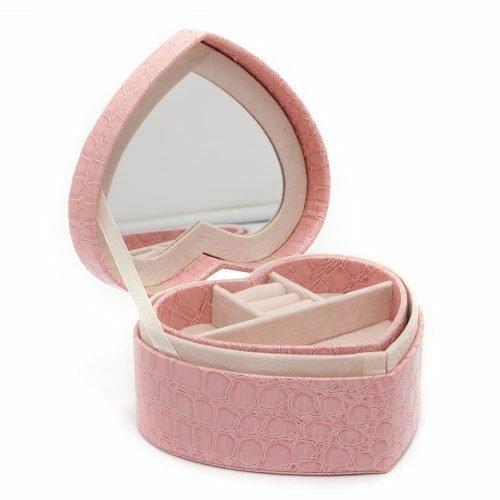 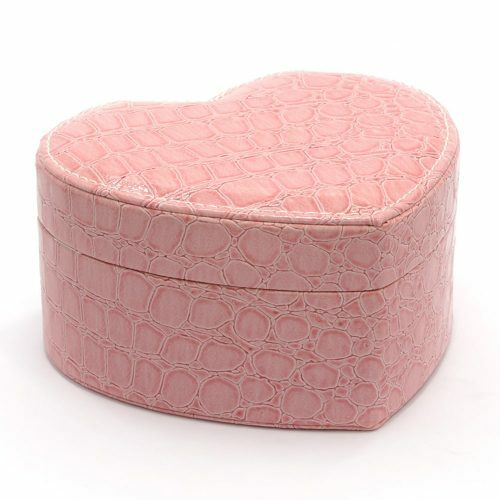 The top layer has 8 smaller compartments and another with multiple ring cushions to hold your rings securely. This layer then slides open to reveal a large hidden compartment that you can store your valuables securely. 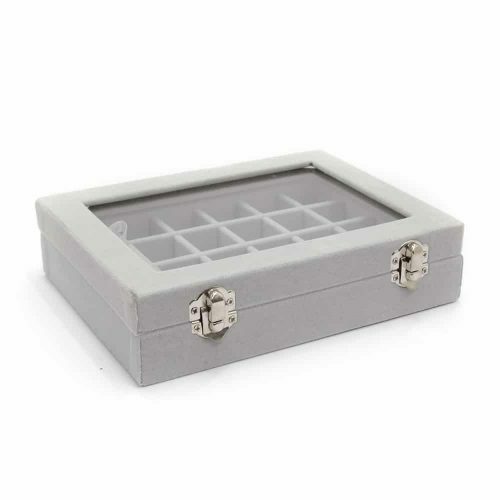 This box then has 3 drawers that pull out to reveal multiple compartments for large and small items, all perfect for storing jewellery, rings, necklaces or small valuables.